- I did finish the BLC 26 challenge and started with Ripped in 30 [I am finishing Week 4 this week]. - I made great decisions that I am sure will be of help in the next 100 days. - 10 minutes + streak and I am keeping on strong. - I finally started a de-cluttering plan to keep my home clean. Another 100 days starts tomorrow and I promise myself, it will be a more healthier, active and successful 100 days [God's willing]. 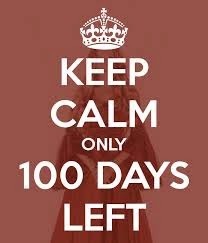 I promise to state my goals for the coming year [watch out for it] and one of it would be to do as many 100 days streak as possible in the coming year. As many challenges as possible and I promise to be happy in all of it. 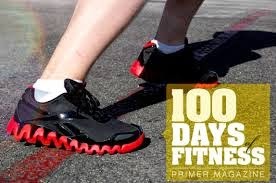 Wish me luck as I proceed in the next 100 days of fitness [at least 10 minutes of fitness activity]. I know and believe that I will lose this stubborn weight this coming year. It is the year of ACHIEVERS.